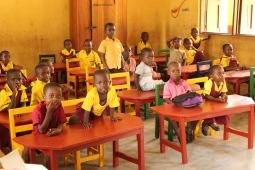 - The school is being built. With funding from Birgitta and William Gunnarsson, in the spring of 2014 we were able to start building the Royal Best Hope School. The three classrooms at the preschool that existed before were supplemented with a building for preschool and junior school, and a building for the upper secondary school. 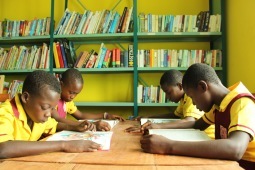 A total of 9 classrooms were built, as well as spaces for offices, libraries and computer rooms. - School buses. Out in the countryside, it is far between the villages and because of long distances there are many children who do not go to school. 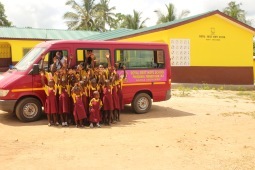 Thanks to our three school buses, many more children can get to our school and get the education every child is entitled to. - Water pump. 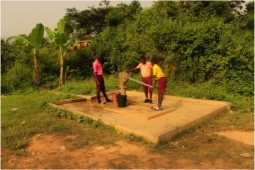 We drilled for water and a pump was installed at the school to provide the students with fresh and clean water. - Library, computer lab, laboratory-, creative art- and home sience equipment. It was a big step in the struggle to bring in practical teaching in the otherwise rather monotonous and theoretical curriculum. - Cement paths between the school buildings. During the rainy season, the schoolyard is transformed into pure mudflat. 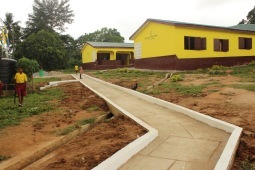 We decided to build cement paths between the buildings and the students can now easily reach classrooms and toilets. - New innerceiling on preschool. Due to problems with bats, the inner ceiling made of plywood had begun to loosen by the bats' feces, which contributed to parts of the inner ceiling collapsing. For the students' health and safety, we therefore tore down the entire old innerceiling, sprayed and sanitized, and then put up a new ceiling. We also sealed all the cavities around the building so that similar problems should not arise again. - Newly painted furniture. The furniture in the preschool classes is repainted in green colors, a step towards improving and developing creative thinking and creation for our youngest students. - Subject books. 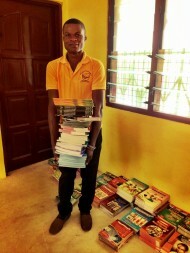 In order to make it easier for the students' families, we supply the students with all textbooks they need in each subject. A cost that is otherwise heavy and strenuous for most of the families. - Generator. 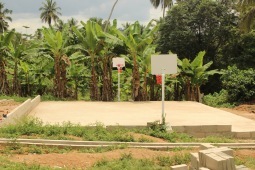 When we built the school there was no electricity in the village. 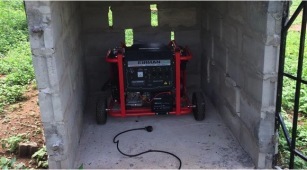 A generator was then acquired to be able to conduct teaching in the computer lab. - Electricity for the school. The electricity has now, May 2016, come to the village and we now have electricity in the school. - Sports area. 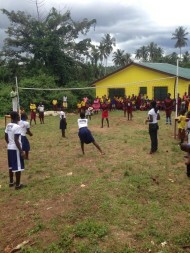 In order to get physical training and sports on the students' schedules, we have established sports areas around the school where the students can engage in sports such as football, volleyball, basketball and floorball. 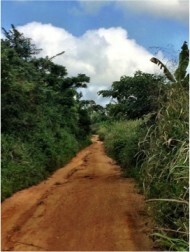 - The roads to the school. 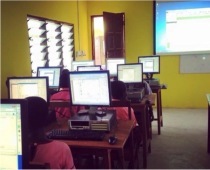 Our school is located in a jungle village with narrow and poorly maintained roads. To make it safer for our bus drivers to drive on the roads we have widened the roads and thereby also made them safer. - Toilets. 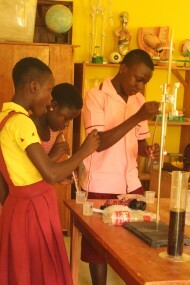 With an increased number of students, the sanitary facilities also needed to be expanded. By building more toilets, we keep diseases like cholera at a safe distance. - New furniture and renovation of existing ones. The school benches are worn over time and the number of students have increased. New furniture has been brought and we have renovated the old ones. - Changing of Preschool roof. We have changed the roof of the preschool. 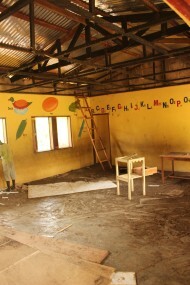 The preschool was build in 2010 and due to hard weather and lowquality roof to begin with it was time to change the roof. A brand new quality roof has now replaced the old one.